I love the burlap canvases that they have out now. I already had a canvas and some burlap from another project so I just made my own. And then decorated it up for Christmas with some lace! 1. 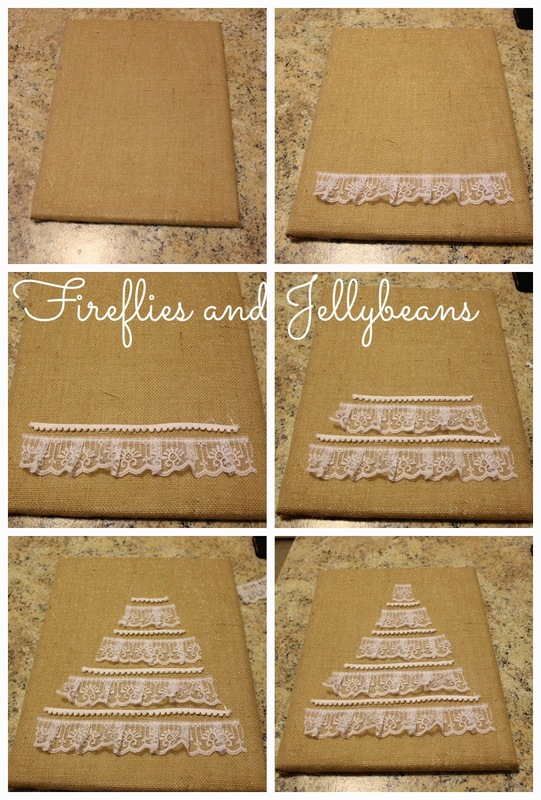 Gather supplies: Canvas, Burlap, Lace trims, Hot Glue Gun. 2. 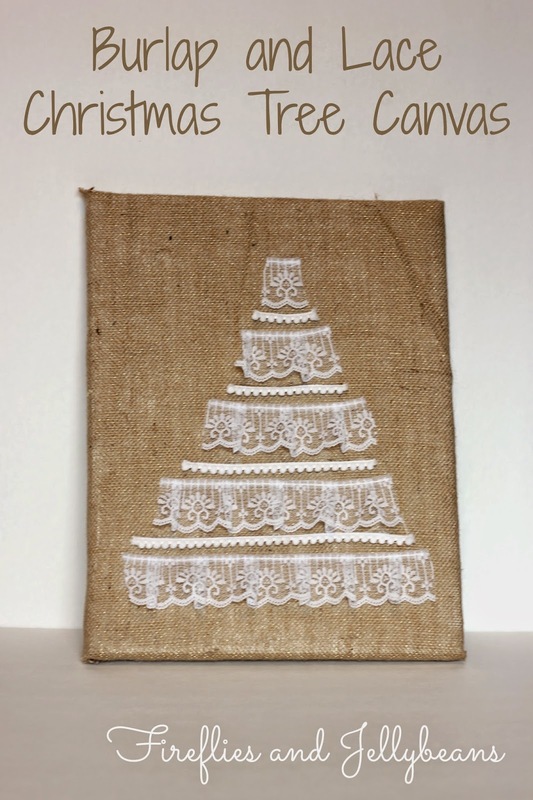 Cut your burlap about 2 inches bigger on each side of the canvas. Place the canvas in the middle and cut a slit diagonally from the corner of the burlap the to the corner of the canvas. 3. Fold the top and bottom down and hot glue in place. Make sure to get it as tight as you can with out ripping it. 4. Fold the sides over making sure to keep the corners neat. 5. Now the we have our burlap canvas lets add some lace! 6. Start at the bottom with a long line of lace. Use hot glue to attach it. 8. Repeat until you get to the top. 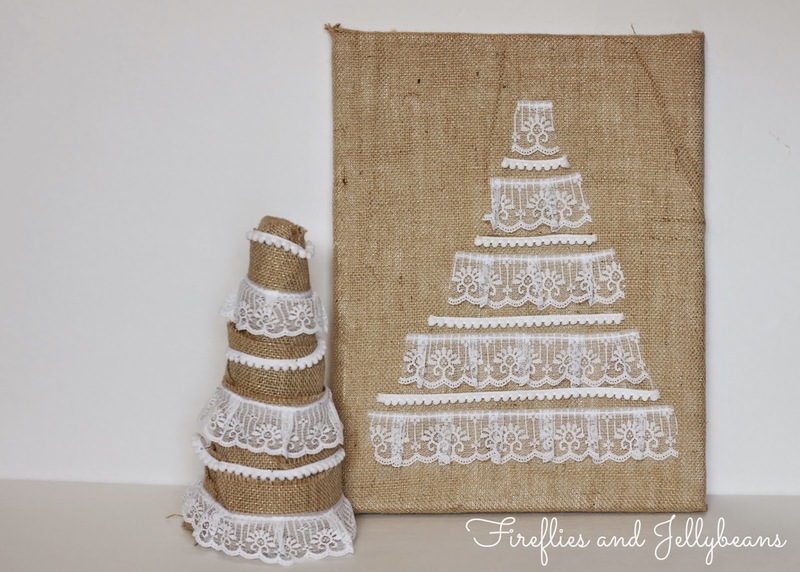 Match it up with this burlap and lace tree! Great and adorable craft. 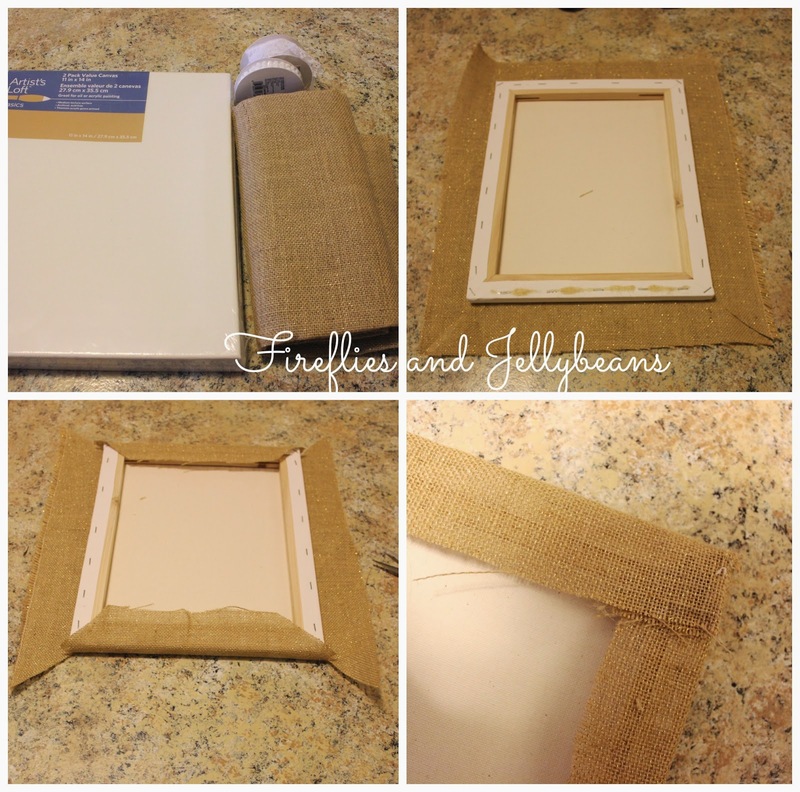 Why pay for burlap prepared canvas if you have your own supplies. 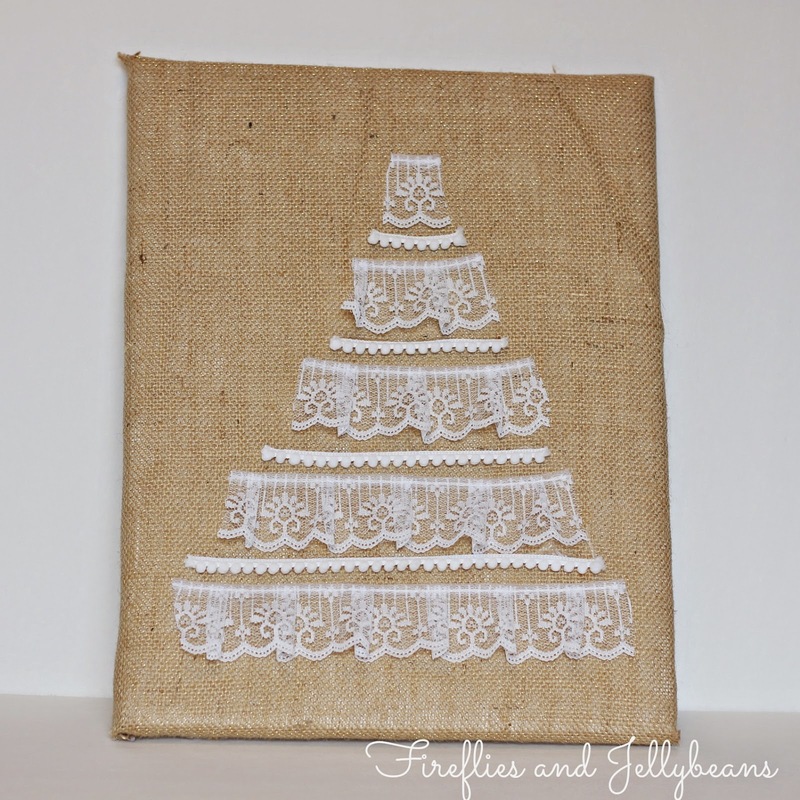 Tree idea is very pretty with the lace and pom-pom treatment. Have plenty of lace, just need some pompom trim. Glad you shared this idea.